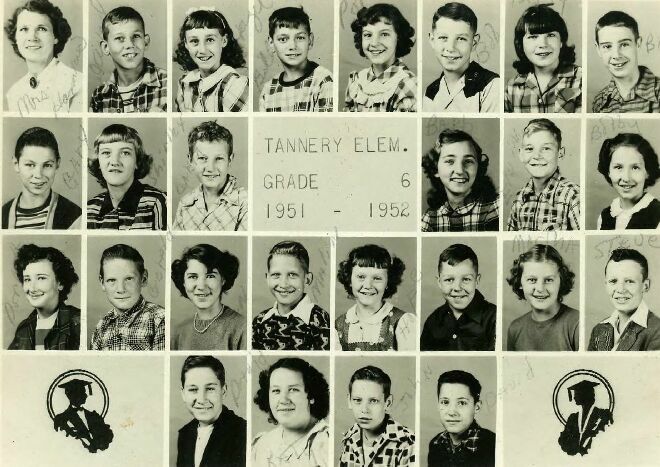 Tannery Grade School Sixth Grade,1951 - 1952! If anybody know the unidentified name or errors on the page, please let us know. 1951 - 1952 Tannery Grade School Sixth grade class. Submitted by:   Barbara Holliday Blake - Lexington, Ky.